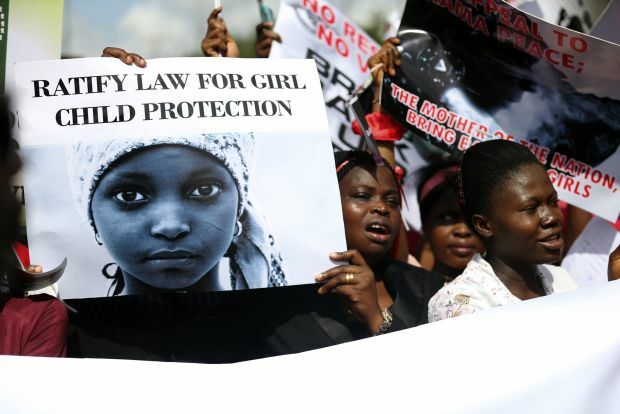 LAGOS, Nigeria (CNS) — Religious groups in Nigeria’s northeastern Borno state have organized prayer sessions and other activities to support the rescue of kidnapped schoolgirls. But Hassanah Mohammed, a resident of the state capital, Maiduguri, told Catholic News Service that groups have been avoiding nighttime vigils for fear of additional attacks. “Chibok town and Borno state are now on the world map, and we pray that God will touch the hearts of the Boko Haram insurgents and release those innocent girls safely to their parents,” she said May 8. She added that after about 200 villagers were killed in the state earlier in the week, groups had increased their prayers. In an overnight attack in mid-April, armed gunmen abducted girls at Chibok Government Girls Secondary School and took them into the forest. Girls who escaped said the men identified themselves as government soldiers who had come to rescue them after gunshots were fired nearby. By May 8, more than 250 girls remained missing; two had died of snakebites and about two dozen were sick, reported The Associated Press, which was dealing with an intermediary. AP also reported that May 5, 11 more girls, ages 12-15, were taken from other villages in Borno. Boko Haram, an Islamist militant group with a somewhat undefined leadership and structure, took credit for the mid-April kidnapping. For years the group has attacked Christians and Muslims in Nigeria, leaving an estimated 1,500 people dead in the first three months of this year alone. 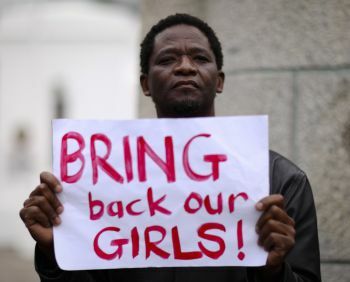 The lack of progress in rescuing the girls led to an international campaign, “Bring Back Our Girls,” as well as statements from government and church leaders. In Maiduguri, Josephine Mohammed said most of the mothers in her religious group had been fasting from 6 a.m. to noon for the safe release of the girls. The statement urged the kidnappers to pity the abducted girls, their parents and relatives. “We are sure the insurgents will not like their own little girls, sisters, nieces and wives to be treated this way,” it said. Some parents said they were considering transferring their children to schools in southern Nigeria, which is considered safer. The White House announced May 7 that it had offered the Nigerian government military, law enforcement and information-sharing assistance in finding the girls and securing their release. Deputy press secretary Josh Earnest told reporters that the U.S. ambassador would meet with Nigeria’s national security adviser to coordinate assistance, which would involve the Department of Justice and the FBI providing a range of technical aid and potentially hostage negotiation. Later the same day, in remarks to the USC Shoah Foundation dinner in Los Angeles, President Barack Obama drew comparisons between the Holocaust and “today’s headlines,” including Syria’s conflict and the kidnappings in Nigeria. “There are some bad stories out there that are being told to children, and they’re learning to hate early. They’re learning to fear those who are not like them early,” he said.